Mingalabar! Welcome to a prime destination for business travelers and tourists alike. Feel at home with our friendly, professional team and enjoy many great facilities. I hope to get the chance to meet you soon! Myanmar is a truly fascinating and unique destination with the spirituality of Buddhism beliefs and some of the most charming people in Asia. The country has a rich culture bounded by unspoilt landscape and an abundance of natural resources. Located mid distance between historical downtown and Yangon International airport. 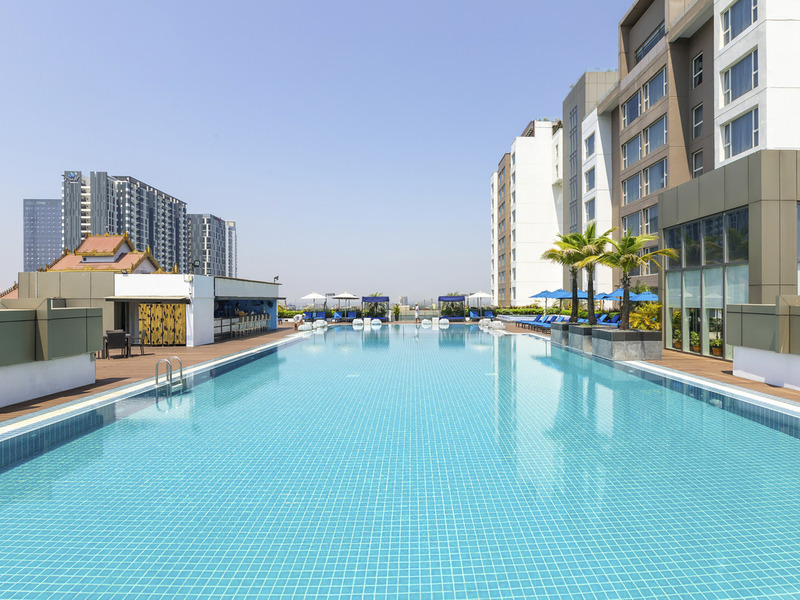 Novotel Yangon Max satisfies the needs of business travellers and leisure travellers on holiday with their family. Accommodation options include Standard, Twin and Family rooms. Enjoy a true experience 24h/24. Fresh meals prepared in front of you, choose from a large choice of Asian and international specialties, try "a la minute" cooking... You will bathe in European and Asian influences thanks to stylish materials. The Chinese Restaurant offers traditional Chinese cuisine inspired by Cantonese influences with other local delicacies also available. It has a dining room and 3 private rooms. The French Restaurant offers a refined yet authentic French cuisine in a relaxed atmosphere. It has a dining room, 3 private rooms and 3 open terraces. The bar ideal for chilling out and meeting friends after busy day. Enjoy simple & authentic cuisine inspired by global or local culinary themes: Italian pasta, American burgers or Spanish tapas. Our ingredients are local products: much better for the taste buds... and the planet. The Pool Bar offers a selection of healthy beverages, cocktails and snacks. Chill by the pool, while enjoying a stunning view of the Shwedagon Pagoda.